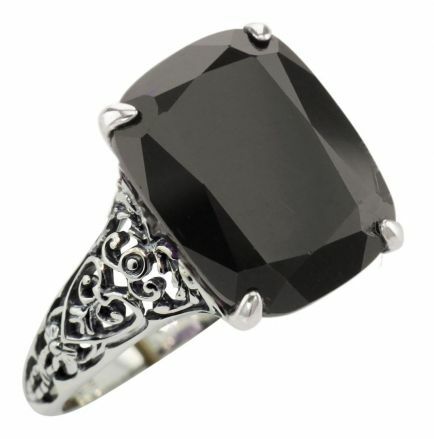 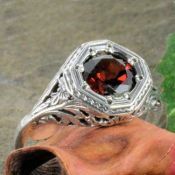 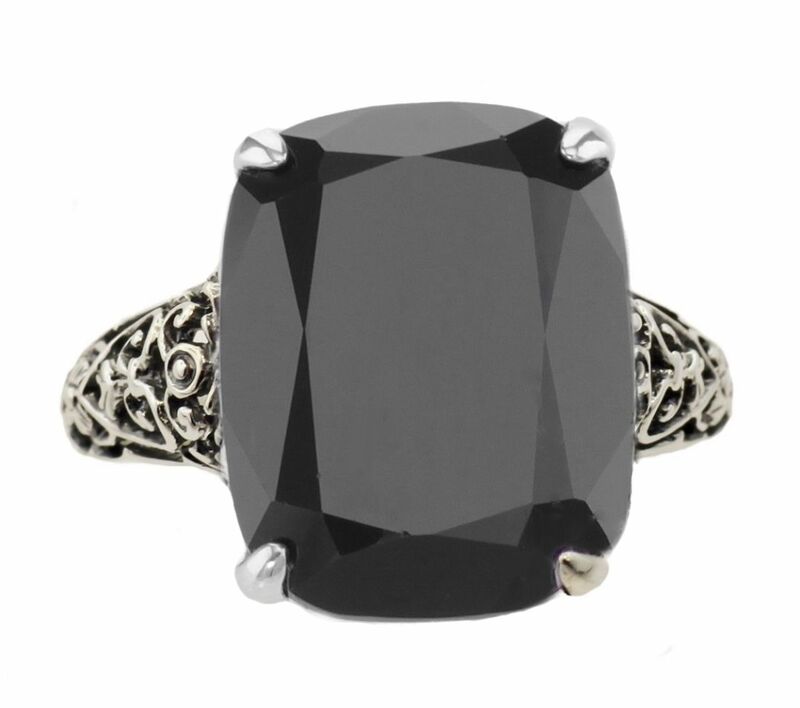 Description: An antique style filigree ring with a large 15 x 12mm cushion cut black onyx. 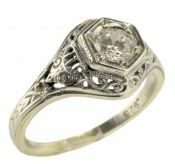 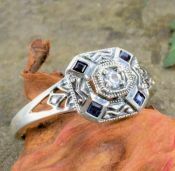 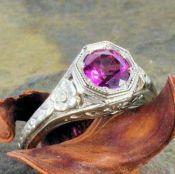 Set in 4 prongs on a scroll designed filigree setting that highlights and shows off the beautiful cushion shaped gemstone. 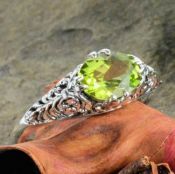 Shipping: Stock size 7, 8 & 9 ships in approx. 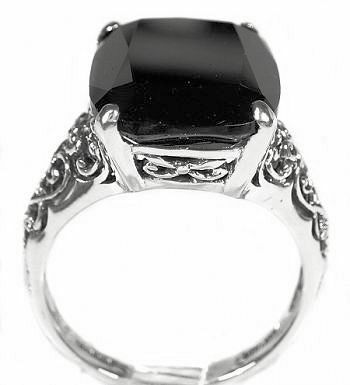 3 to 5 days. 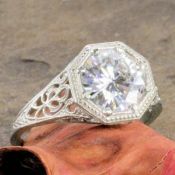 Resizing adds up to a week for shipment.